which the Project-r MS Stereo Mic addresses. The principle behind this mic, MS miking, has been around for a while. The standard MS techniques uses two mics: an omni facing forward and a figure 8 or bipolar pattern facing to the side to pick up off-axis and reflected room sounds. The mic facing forward is mixed equally in both the right and left channels (your basic mono); it provides the “M”, or middle signal. The figure 8, “S”, (for side) mic signal is split into two signal paths, one of which is panned hard right and the other inverted in phase and panned hard left: Bringing up the relative level of the side mic increases the perceived width of the stereo effect. A nice benefit to MS miking is its mono-compatibility—when the stereo signal is collapsed into mono, the side signals cancel out, leaving the pure mono signal unaffected. Traditional MS miking’s biggest complication is that the figure 8 mic has to be a dual diaphragm type--typically AKG-414s, Neumann U-87s or similar mics are used. Also, not all mixers make it easy to split the side signal and invert one channel--a difficulty that the Project-r MS Stereo mic deals with by including everything in one box. The MS sound is especially well suited for applications like acoustic guitars, overhead drum miking and stereo sampling. 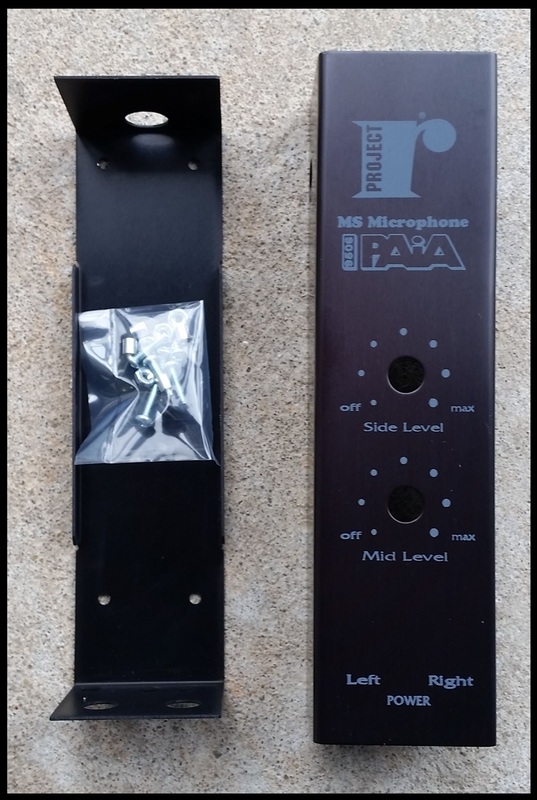 The PAiA 9506 MS Stereo Mic manual (Instruction Manual, User Manual, Assembly Instructions) contains details for constructing a self-contained device for capturing stereo and/or mono sounds and providing balanced, line-level outputs for input to mixers or recorders, from a parts kit using only basic electronics assembly tools and supplies. Included in the manual are Schematics, Illustrations and Diagrams, a Parts List (List of Parts, BOM, Bill of Materials), views of the Printed Circuit Board (PCB) and its Printed Circuit Traces (Printed Circuit Layout) overlaid with the Parts Placement Designators (Silk-screened parts designations), and set-up and use (operating) instructions. The 9506 circuitry is comprised of Electret Mic Elements, Integrated Circuits, Diodes, Capacitors, and Resistors. It requires power from an included 12VAC wall-mounted transformer, or, external dual-polarity 9 to 15 volt power supply. Level controls for Mid and Side signals set a mix of these two sources presented to the Left and Right TRS output connectors. 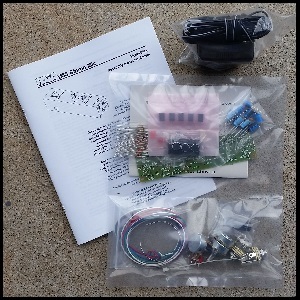 The circuit board features wiring points so external Mid and Side signal sources can be applied for the MID SIDE Stereo output (it works as a 2080 MS Stereo Decoder board (since removed from catalog)).